You made your game’s trailer — and something isn’t quite working. You (and your testers) love your game, but that love is getting lost in translation to video. In my experience, trailers often feel lifeless — like a skeleton going through a living person’s motions — up until a clicking moment. Once you get to that key breakthrough, it feels awesome. Often, you just need one readjustment for it to all come together. These tricks can get you to that moment. Notice where you’re looking. 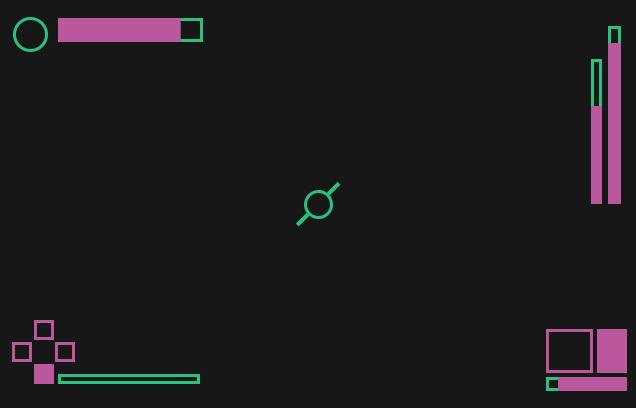 Which part of the screen has your eyes’ attention? 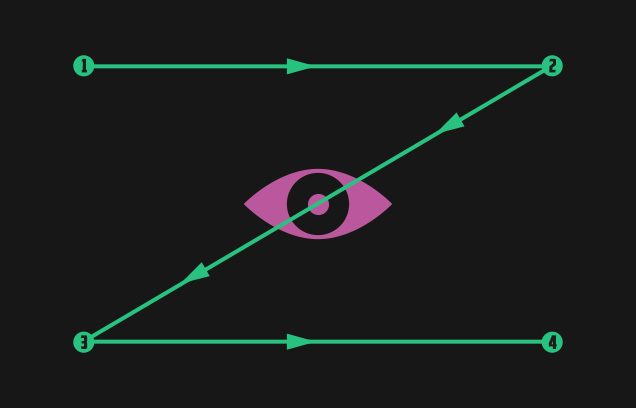 Eye-flow is a delicate and essential thing: motion speaks to our survival instinct. When things move, your adrenaline spikes. Is there danger? Where is it? Use this to your advantage. Move their attention all over the screen, but keep in-mind where you want them to go — and what shape you want that motion to move in. Sudden changes in movement feel jarring, so consider pausing or cutting to a shot that complements the shot before it. Work your way to your destination. Avoid jump-cutting-around (unless that is a part of your game somehow). Your key here is to flow — keep their eyes where you want them. Super-important detail: if your gameplay has tons of action all over the screen, you need to hone the focus on the one thing you want them to look at. Feel free to be super-controlling here and clarify things or it gets really disorienting otherwise. Focus where you want people to look — by any means necessary. Your players feel the game through the sounds, though they might not realize it. If you’re showing a trailer with just music and no sound effects, more than likely, it feels dry and lifeless. Some talented composers and editors can use music alone to convey interaction, but in that scenario, there’s still some serious sound design and composition. Your trailer will go from boring to amazing in very little time with the right sound designer, since their work will make each of your cuts and edits feel completely intentional. Use your game’s sound designer if they’re talented enough. If not, I have some recommendations of amazingly talented sound designers that have been a pure joy to work with: James Marantette, Adrian Talens, and Jon Hillman. A good sound designer will improve your trailer — more than anything else you can do. 3. Consider the See-n-Say approach. A title card can save your trailer from confusion — with that extra push of explanation. This is called the ‘See ‘N Say’ approach. Game trailer savant, Derek Lieu says, “Make a title card that says something about your game — then show the thing. This seems like such an obvious thing to do, but I have consulted on multiple trailers that think telling is enough.” Derek’s right: you have to show that idea in action. This makes people believe what you’re saying — you’re backing it with evidence. Answer player’s biggest question: “What do I do in this game?” Do this and every other detail suddenly becomes relevant. Get to the point. Now do it faster. How many seconds pass before you show gameplay? If you answered, “10,” you may be alright. But if you said “30,” your viewers will scrub-through your timeline for anything interesting — you’re likely to lose them once they start that. Heck, make your whole trailer faster. Your HUD is the least important thing in the trailer. If you can hide it, you should. The same goes for any in-game text. Any information that isn’t primary will attempt to steal your viewer’s eyeballs. You don’t want your viewers trying to read something they can’t. That’s frustrating. Plus, they don’t know how to read your user interface anyway, so showing it won’t help. It’s okay. Just let the action tell the story. 6. Teach how to play. You know how to play your game, but nobody else does. If your game is even remotely complicated, you need to build literacy — fast. How fast can you teach somebody the core basics of your game? Start by saying, “Here’s how you play:” and then fill in the blank. Now try it again, but faster. Build your tutorial backwards and forwards in your mind. When you really have these basics down, you’re ready to teach viewers in record time. Only then will viewers be able to read the crazy action at the end of your trailer — feel free to go buck-wild! 7. Do you show uniquely-distinct gameplay? You know the market is flooded; you need to be unique — hammer on those qualities nobody else has. Jam on what makes your game truly different. Show what’s special about your game. Adam Saltsman talked at GDC about 6 games that do a great job of standing out and selling themselves, where he outlined how one needs to make games that are recognizable at first glance. You need to be instantly recognizable, but your most distinct gameplay needs to be your primary focus. And you don’t need to be shy about it. 8. Try the rule of thirds. Don’t live in the center of the screen. That’s boring and confrontational. Photography teachers teach you to focus in a “third” of the frame — this allows lead room and feels more natural. The trick is to imagine your screen as a tic-tac-toe board and each cross-section is where a person’s eyes feel the most comfortable. Read-up on the rule of thirds, then re-compose your shots to emphasize one of the “thirds” of your screen. 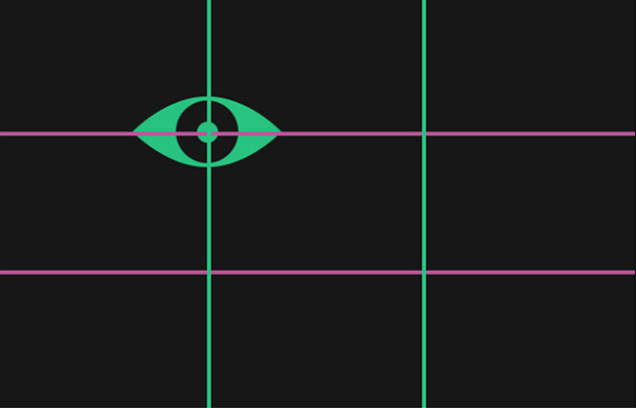 It makes a huge difference; even if you’re making a 2D game — where the rule of thirds might be trickier to implement, but can greatly improve the way your game looks and plays. The rule of thirds isn’t always the right tool for the job. Remember that you can also try lots of other helpful theories on composition. Fellow trailer maker, Derek Lieu loves to showcase stylish games. He says that if a game has enough style, you can coast on that. Of course, show informative gameplay. But if something is stylish or cinematic enough — you can get people hyped up enough to look into the game. Case in point? Watch the trailer he made for Quadrilateral Cowboy. Your game’s style should be wholly its own, so what could it be like if you were to lean harder into that stylistic inspiration? What does your game’s style remind people of? Maybe play a word-association game to get friends and family brainstorming about what might be a related style that you can re-purpose for your trailer. Also important is that your whole project has a consistent unified style. Is there another way to make each part feel more connected? Make those little touches that bring everything together. Start by stripping things away. Don’t show anything but what you absolutely have to. Then present questions related to the setting and story. Don’t give any answers away. Let them wonder. Take your time. Realize that this can be a delicate dance between literacy and mystery. You need people to be able to read your game, but you also need them to want to know more. While perhaps the hardest “trick” of this list, it may be the most valuable — this is the only way to hand your players something: questions. They’ll hold onto those questions ( perhaps subconsciously); then they’ll translate those question into action — seeking for answers. Consider Hyper Light Drifter’s second trailer. Notice how many questions this trailer raises. What’s behind that door? Who’s that dog? Where are they going? And what is that giant black thing at the end?!? (I like to call this last question a WTF-moment — essential for building trailer mystery). Every one of these questions was carefully engineered to make viewers thirsty for answers. A player’s second question is, “Will there be enough to do?” The easiest solution: overwhelm their senses with diverse settings and verbs. Here’s an idea: reuse the same action while changing scenes, like in the Dungeon of the Endless trailer. Zoom distance provides another form of variety. Pixel-graphics scale well, so zooming-in very close can get provide same-scene variety that compliments eye-flow — and keeps you trailer rapid. Kert Gartner is a master of this — which you can see in his Hotline Miami 2 trailer. 12. Aim for impressions — not sales. You want people to buy your game, but it’s even more important that they want your game. You build that desire by compounding impressions over time. For example, No Man’s Sky had an amazingly impressive string of trailers that, over years, created enough impressions that it broke Steam store records at launch — even at a full $59.99 asking price. It could do this because it build-up impressions. My favorite trailer of recent memory was Enter the Gungeon gameplay trailer. It jam-packs the action so well, that I discover new details upon each viewing that I never even noticed in the main game — even after 90 hours with it. Your key question should be, “Is the trailer entertaining-enough to warrant multiple views?” Are they going to feel rewarded for re-watching? Did you jam-pack it with advanced-level-play material? Let me know how it goes. The worst thing that could happen is that you tried something out that only improves your trailer a little bit. But hopefully, you’ll find a wholly excellent trailer that connects with your intended player-base. And when that happens, that little extra effort is all worth it. BONUS! Sign-up for 4 Bonus Tips! If you enjoyed these twelve points, sign-up for my newsletter and get four more delivered to your email immediately!